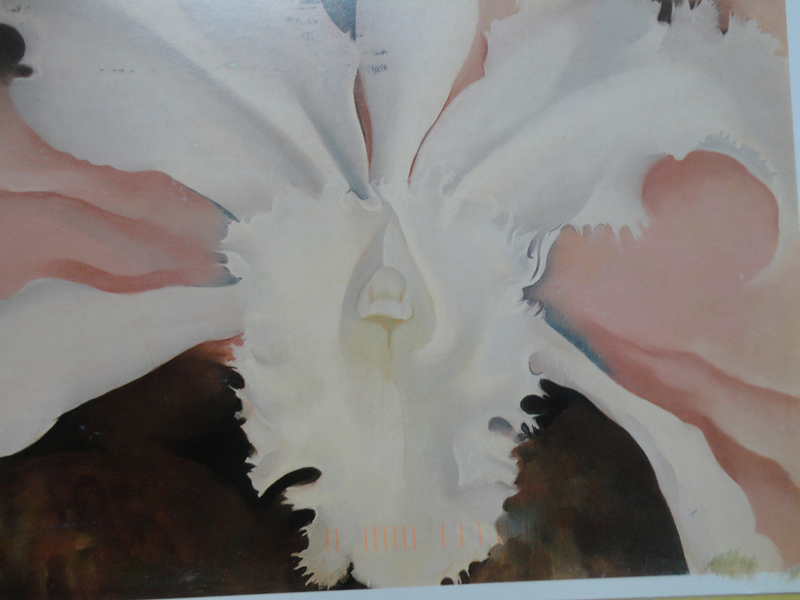 The picture side of the postcard is Georgie O’Keeffe’s Narcissa’s Last Orchid, a pastel from 1941. Both the poem and the postcard are lovely. Thank you very much, Alexa! 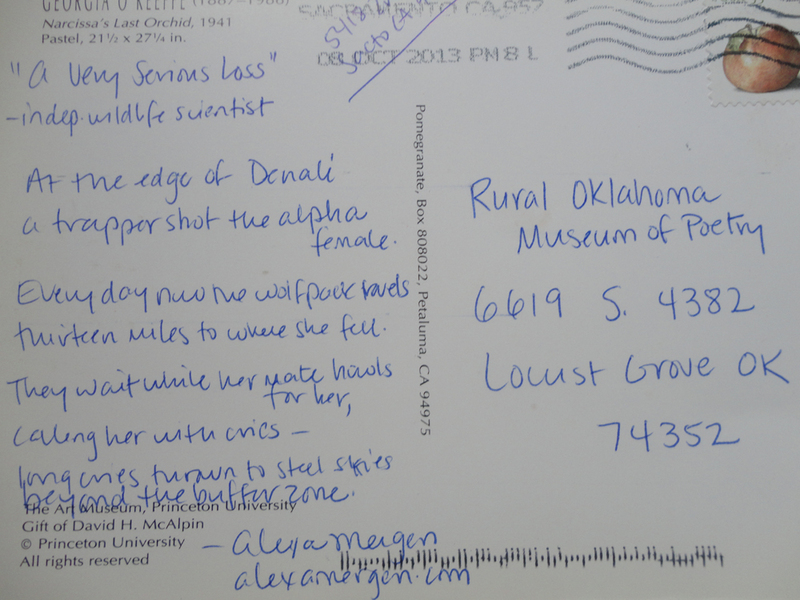 Tags: Alexa Mergen, collecting poems, collecting postcards, poem crossing, poems, poetry, poets, postcards, postcrossing. Bookmark the permalink. Thank you, Shaun! And thank you, USPS. awww…this poem is a reminder that not just humans feel loss. So sad.